It's time to sign up for Spring Into Horror! Remember, it's two weeks now...and at the tale end (the finale weekend) will also be Dewey's 24 Hour Readathon! Official dates are April 17 through 30, starting at 12am CDT Sunday and ending at 11:59pm CDT on Sunday the 30th. 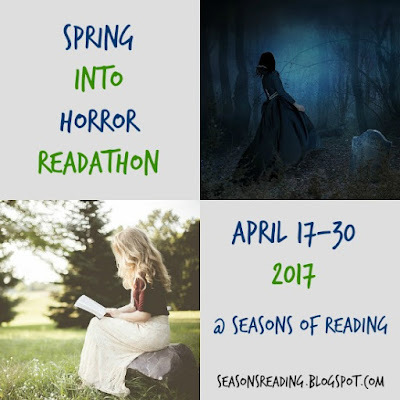 Guidelines for the readathon can be found HERE or you can access in the menu at the top of the blog. 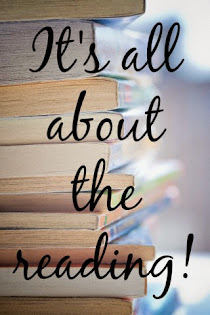 Any information you need about the readathon can be found there. The hashtag for checking in on social media is #SpringHorror You can also check-in and chat at our Facebook group (also can be accessed in the blog menu). Please do be sure to check the guidelines, as it explains all about signing up and starting the readathon. Thanks for signing up! Looking forward to some fun, scary reading! Michelle thank you for hosting. I am looking forward to this. I can't wait to join the Read-a-thon, it sounds like so much fun! Hopefully I will manage to participate more than I did in the Christmas one. Have my mystery book picked out but nothing else. First time doing this readathon. I'm very excited. I'm starting a day late, but currently reading Stephen King's Pet Cemetery. A re-read as I'm working through my King collection again. Tomorrow I plan on reading one by Joe Hill. I just got back from vacation so I've missed the first few days of the readathon, but I'm excited to start now! Horror is my favorite genre and I've got tons of books around the house that I haven't gotten to yet.